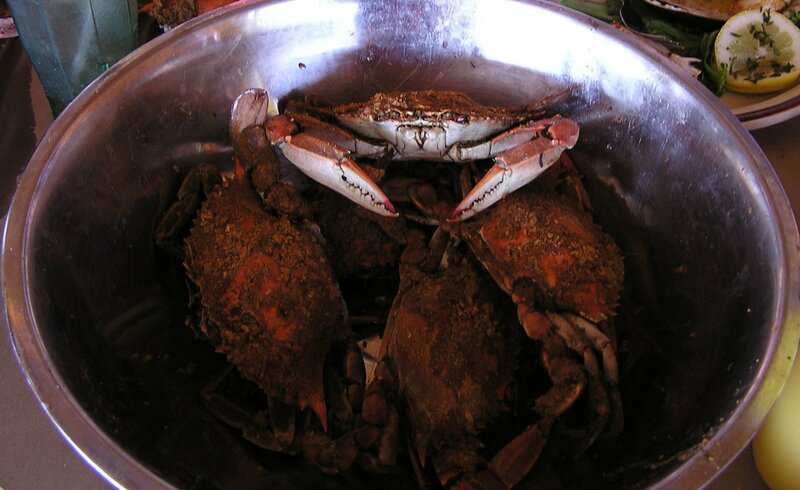 If you are ever in Crisfield, Maryland (or any other town along the Chesapeake Bay), I recommend finding a restaurant on the shore, and ordering a bucket full of steamed crabs and a bucket with bottles of beer. Spend the afternoon looking out over the water, picking apart crabs spiced with Old Bay Seasoning and drinking beer to cool off your burning lips. 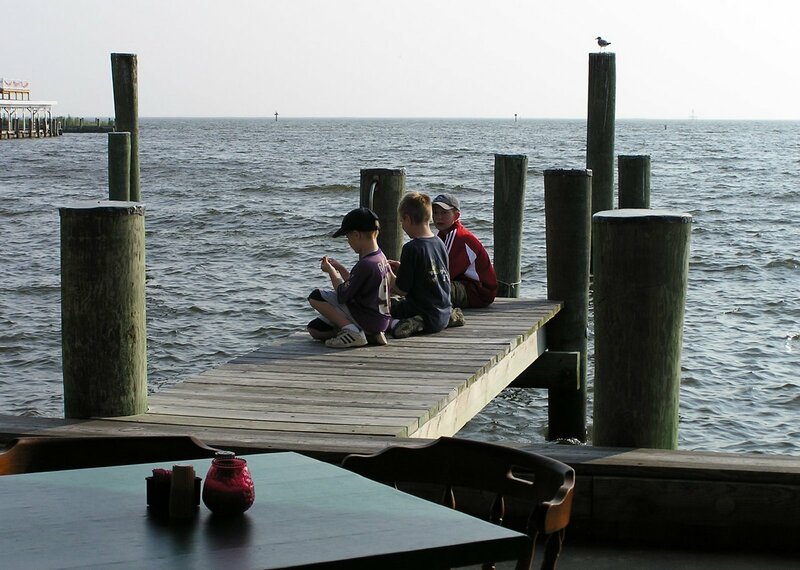 During a road trip down the Eastern Shore, we stopped for dinner at Captain's Galley in Crisfield. It was early in the evening, and there were only a few other customers when we visited. We sat outside on the crab deck, and the bartender took some time to show us beginners how to pick the meat from the crabs. Picking crab meat is like shelling peanuts, something to do while you drink your beer. It's delicious, but there isn't much meat on the crabs, so order extra food if you are really hungry. * While looking for the Captain's Galley website, I found out the restaurant has moved, and is now at the top of some new condominiums in Crisfield. Hmm... a different experience, I guess.